Amanda Nickerson, PhD, NCSP, is a Professor and Director of the Dr. Jean M. Alberti Center for the Prevention of Bullying Abuse and School Violence at the University at Buffalo, State University of New York. Dr. Nickerson’s research focuses on school crisis prevention and intervention, with a particular emphasis on violence and bullying. She has examined the role of schools, parents, and peers in preventing violence and enhancing the social-emotional strengths of children and adolescents. Dr. Nickerson is the lead author of Assessing, Identifying, and Treating Posttraumatic Stress Disorder at School (2009, Springer), co-author of School Crisis Prevention and Intervention: The PREPaRE Model (2009, 2016, National Association of School Psychologists [NASP]), and co-editor of Handbook of School Violence and School Safety: International Research and Practice, 2nd Edition (2012, Routledge). She has published over 85 journal articles and book chapters. Her research has been funded by the National Institutes of Health, the American Educational Research Association, the NYS Office of Child and Family Services, The Committee for Children, and the NYS Developmental Disabilities Planning Council. Dr. Nickerson is a fellow of the American Psychological Association (Division 16) and is Coordinator of Research for the National Association of School Psychologists (NASP) School Safety and Crisis Prevention Committee. She has served as associate editor of the Journal of School Violence and is a member of several other editorial boards (Journal of School Psychology, School Psychology Review). She serves on the executive board of the New York Association of School Psychologists and is a member of Governor Cuomo’s Suicide Prevention Task Force. 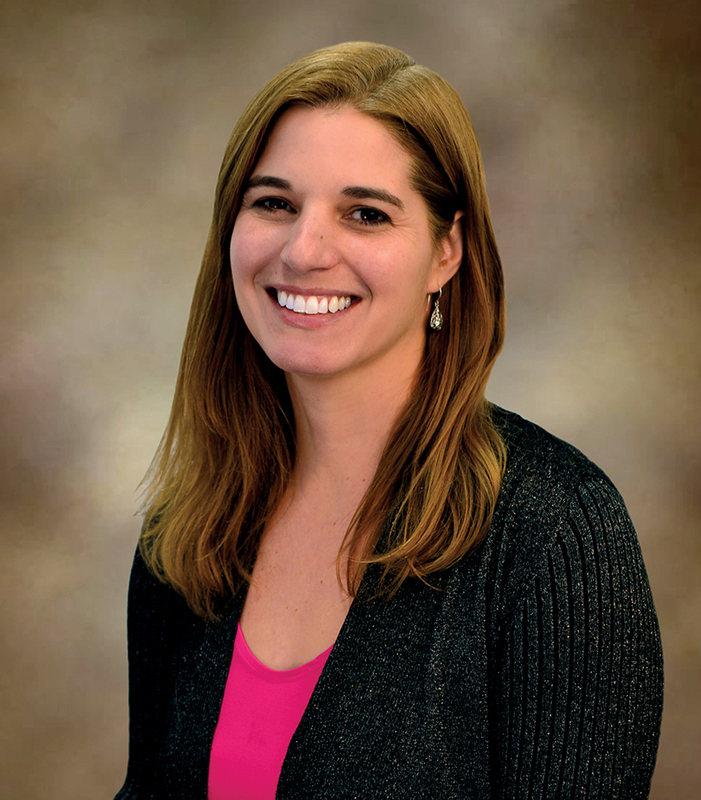 Dr. Nickerson has received numerous awards for her work, including the NASP Presidential Award, the NASP Crisis Management Interest Group Award for Excellence, the STAR Research Award from the University at Buffalo’s Graduate School of Education, and Reviewer of the Year from the Journal of School Psychology. A licensed psychologist in New York state and a Nationally Certified School Psychologist, Dr. Nickerson is committed to the scientist-practitioner model of training. She views research and science as foundational to good practice, and helps practitioners use this knowledge to guide practice. Dr. Nickerson has conducted hundreds of presentations for educators and mental health professionals in the United States and other countries. She has also worked in close collaboration with schools and other child-serving agencies to guide them in using data to inform practice, particularly related to improving social-emotional and behavioral functioning and preventing bullying and violence. Graduate students are frequently co-authors and have many opportunities to engage in activities to further their professional development. She is particularly enthusiastic to mentor students who wish to pursue careers in academia as faculty members. Brock, S. E., Nickerson, A. B., Reeves, M. A., Conolly, C., Jimerson, S. R., Pesce, R. C., & Lazzaro, B. (2016). School crisis prevention and intervention: The PREPaRE model (2nd ed.). Bethesda, MD: National Association of School Psychologists. Nickerson, A. B., Livingston, J. A., & Kamper-DeMarco, K. (2018). Evaluation of Second Step Child Protection videos: A randomized controlled trial. Child Abuse & Neglect, 76, 10-12. Jenkins, L. N, & Nickerson, A. B. (2017a). Bullying participant roles and gender as predictors of bystander intervention. Aggressive Behavior, 43, 281-290. Jenkins, L. N., & Nickerson, A. B. (2017b). Bystander intervention in bullying: Role of social skills and gender. Journal of Early Adolescence. Online first publication. Cosgrove, H., Nickerson, A. B., & DeLucia-Waack, J. (2017). Past peer victimization and current adult attachment in college students. Journal of College Counseling, 20, 22-36. Cosgrove, H., & Nickerson, A. B. (2015). Anti-bullying/harassment legislation and educator perceptions of severity, effectiveness, and school climate: A cross-sectional analysis. Educational Policy. Advanced online publication. Rose, C. A., Nickerson, A. B. , & Stormont, M., & (2015). Advancing bullying research from a social-ecological lens: An introduction to the special issue. School Psychology Review, 44, 339-352. Werth, J. M., Nickerson, A. B., Aloe, A. M., & Swearer, S. M. (2015). Bullying victimization and the social and emotional maladjustment of bystanders: A propensity score analysis. Journal of School Psychology, 53, 295-308. Fishman, C., & Nickerson, A. B. (2015). Motivations for involvement: A preliminary investigation of parents of students with disabilities. Journal of Child and Family Studies, 24, 523-535. Aloe, A., Shisler, S., Norris, B. D., Nickerson, A. B., & Rinker, T. (2014). A multivariate meta-analysis of student misbehavior and teacher burnout. Educational Research Review, 12, 30-44. Nickerson, A. B. (2018). Foreward. In J. C. Roth & B. S. Fernandez (Eds. ), Perspectives on school crisis response: Reflections from the field. Taylor & Francis. Nickerson, A. B., Guttman-Lapin, D., & Vanhout, S. (2018). Bullying and cyberbullying prevalence as a form of violence in education. In H. Shapiro (Ed. ), The handbook of violence in education: Forms, factors, and preventions (pp. 327-358). Hoboken, NJ: Wiley & Sons. Nickerson, A. B., Guttman, D., & Cook, E. (2017). Prevention and early intervention efforts for targets of bullying and youth who bully. In C. Bradshaw (Ed. ), Handbook on bullying prevention: A lifecourse perspective. Washington, DC: National Association of School Social Workers. Nickerson, A. B., & Rigby, K. (2017). Prevention and intervention for bullying in schools. In M. Thielking & M. Terjesen (Eds. ), Handbook of Australian school psychology: Bridging the gaps in international research, practice, and policy. New York: Springer Science. Nickerson, A. B., Mayer, M. J., Cornell, D. G., Jimerson, S. R., Osher, D., & Espelage, D. L. (2017). Violence prevention in schools and communities. In M. Casas, L. Suzuki, C. Alexander, & M. Jackson (Eds. ), Handbook of multicultural counseling (4th ed., pp. 323-331). Thousand Oaks, CA: Sage. Nickerson, A. B., & Orrange-Torchia, T. (2015). The mental health impact of bullying. In P. Goldblum, D. Espelage, J. Chu, & B. Bongar (Eds. ), The challenges of youth bullying and suicide (pp. 39-49). New York: Oxford University Press. Nickerson, A. B., Savage, T. A., & Woitaszewski, S. A. (2015). School crisis prevention and intervention: Emergency preparedness and response. In R. H. Witte & S. Mosley-Howard (Eds. ), Mental health practice in today’s schools: Issues and interventions (pp. 399-418). New York: Springer. Brock, S. E., Nickerson, A. B., Reeves, M. A., & Jimerson, S. R. (2014). Best practices for school psychologists as members of crisis teams: The PREPaRE model. In A. Thomas & J. Grimes (Eds. ), Best practices in school psychology V (pp. 1487-1504). Bethesda, MD: National Association of School Psychologists. SAMHSA Now Is The Time Technical Assistance Center [Lead contributors Guttman-Lapin, D., Nickerson, A., O’Malley, M., Renshaw, T., Silva, K., & Sockalingam, S.] (2016). School mental health referral pathways toolkit. Rockville, MD: SAMHSA. Crepeau-Hobson, F., Nickerson, A., & Cook, E. (2016, January/February). The final report of the Sandy Hook Advisory Commission: Summary of parts 1 and II. Communiqué, 44(5), 1, 24-25. National Association of School Psychologists [Writing group Furlong, M. J., Nickerson, A. B., & Pesce, R.]. (2014). Position statement on youth violence. Bethesda, MD: Author. Orrange-Torchia, T., & Nickerson, A. B. (2014). The Alberti Center for Bullying Abuse Prevention: A resource for school psychologists and beyond. New York School Psychologist, 32(2), 4, 38-39. Content Consultant, Red Line Editorial, Inc.